For Bruce’s birthday we decided to send SEOToolSet Training™ on an international tour! Throughout October, our SEO training course is making stops on the East Coast of the U.S., three cities in Australia, and Milan, Italy. Racking up those frequent flier miles, are we SEOToolSet Training? Training is the foundation of a successful SEO campaign, setting the stage for expectation, implementation and communication. Attendees of Bruce Clay, Inc.’s SEO training leave with an improved understanding of the technical requirements of search engine marketing, appropriate site goals and metrics, and the cost of achieving these goals through the site. During yesterday’s SEM Synergy podcast, we got to talking about how educational opportunities like training provide the face-to-face time and in-depth knowledge transfer to facilitate understanding and cooperation across an organization so vital for SEO. If you’re unsure on how SEO training and an understanding of best practices can affect your organization and your Web site, you may want to check that out. Meanwhile, if you’re looking for SEO training opportunities near you that are focused around a current and proven methodology, take a look at the international line-up for Bruce Clay, Inc.’s SEO training course. Just next week, Bruce will be presenting a one-day SEO training course in conjunction with Search Marketing Expo – SMX East. It’s not too late to register for the course which takes place October 8 at the Westin Times Square. The course follows an action-packed curriculum that establishes an understanding of search marketing practices and the intent behind them. Attendees also receive a three-month subscription to the SEOToolSet. Along with learning about search engine optimization best practices, the most up-to-date recommendations from search engines, SEOs place among the organization’s business goals, and time-tested technical approaches to search engine optimization, the three-day course affords attendees the opportunity to get hands on with the suite of SEO tools with the guidance of the instructor and invaluable Q&A time. Bruce Clay, Inc.’s director, Eastern region operations, Christopher Hart, leads this three-day standard SEOToolSet Training course at the Garden City Hotel. Completion of the three-day standard course qualifies attendees for the SEOToolSet advanced certification course. Bruce Clay’s Australasia office is presenting one-day SEOToolSet Training courses across the continent throughout October. Director of Bruce Clay Australasia, Jeremy Bolt, will lead attendees in this overview course designed for managers and SEO team members. Attendees walk away with a foundation for cooperation in the technical requirements of SEO and an understanding of underlying goals. Because even the most experienced SEO can’t be effective without collaboration from other departments and support from the organization as a whole. 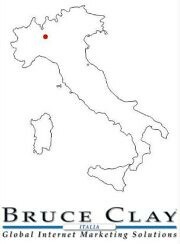 Rounding out the international tour dates, Bruce Clay Italia will host a three-day standard and advanced SEO training course taught by Bruce at the Doubletree Hilton Milan from October 26-28. Completion of the advanced course qualifies attendees to become a certified SEOToolSet analyst. SEOToolSet certification is an assurance of an SEO’s adherence to SEO ethics and guidelines set by search engines. For SEO training that’s comprehensive, foundational, technical and business-minded, backed by more than a decade of experience and designed by Bruce Clay, we hope you check out our SEOToolSet Training courses, coming to your part of the world soon! Bruce Clay East SEOToolSet Training – Register Now! Do you have any plans of stopping by California? I sure would love to attend your conference. LOL :) When we do, I’ll be sure to let you know! When are you coming to Texas ?